While the majority of the time I focus on home or consumer cloud backup here at Cloud Storage Buzz but there are a number of people that come to the site looking for information on reselling cloud backup. If you are run a business or are thinking of starting a business offering cloud backup there are a number of services that offer reseller plans for you to take advantage of. The benefits of being a reseller of another service allows you to focus on the customer instead of worrying about creating the hardware and software. If you are looking at reselling cloud backup here are some of the services that offer that type of service. 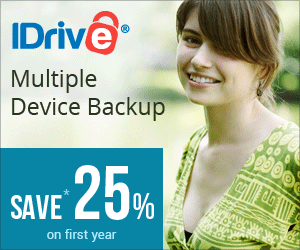 The Livedrive reseller program could possibly be the best known cloud backup reseller service. Starting at just $59.95/month it is a very cost effective program to start with. There are number of very good Livedrive resellers out there, unfortunately though there are some others that are not as good. The best Livedrive resellers tend to be the ones that can offer better support than Livedrive itself or are local based businesses that use Livedrive to expand their services to their existing clients. Zoolz from Genie9 is fairly new to the cloud backup market, but they do have a white label reseller program that you can sign up for. It has a pretty low price to get started at only $49.95/month. Depending on the number of options you choose the price goes up. I have heard of a number of companies offering Zoolz cold storage in addition to Livedrive since the two are very different. SOS Online Backup is well known for reselling in fact if you purchase online backup from some well known brands like Bitdefender and others odds are you are probably using SOS Online Backup. There is a reason the larger companies choose SOS Online Backup, it is an excellent service to offer to your customers. You can read more about their reseller program on their website. The Carbonite reseller program is really targeted at businesses that already have a customer base and want to add cloud backup to their list of services. If you are thinking of reselling Carbonite online you might have a tougher time since the program is not really designed for that. You can read more about the Carbonite reseller program on their website and apply online. CloudBerry offers a branded backup service. It is a little different from the other resellers since you still need to provide cloud storage from another provider such as Amazon. This one is definitely more for established businesses that provide IT services to existing clients. The strong encryption and ability to use multiple cloud storage vendors makes the CloudBerry reseller program an interesting one. SpiderOak offers a white label reseller program that you can join. AVG LiveKive was a prime example of a SpiderOak reseller, although they have recently decided to close. SpiderOak has a great feature set and is cross platform so it certainly gives you a lot of opportunity. The zero knowledge policy is also a great selling point, especially since all of the news about Edward Snowden and the NSA spying. JDI Backup does a pretty good job of creating lots of their own branded sites all offering the same service but they also offer a reseller program if you want to create one of your own. If you can improve on their customer service and their product you might be able to do well. However, since then Code 42 and CrashPlan have moved away from reselling the Home service and focus on the Enterprise version of CrashPlan. Mozy runs a reseller program for MozyPro for businesses to resell their business online backup service. It is certainly an option to add their cloud backup service to your list of services. You can read more on the Mozy partner website. There is not a great deal of information available online about the SugarSync reseller program. They have a link in their footer menu to a page about it, but when I checked it today it is only a contact form to use to contact SugarSync. Being a reseller is not for everyone, since you will usually have to deal with customer support and other issues that come up. That being said being a reseller can add a great additional service to sell to your business. If you already have an established client base and offer other computer services it can be a great fit for your business. Becoming a reseller and offering your services only online means you would be competing for the same customers as the company you are reselling and could be more difficult but there are many people that earn a decent income from it. If enjoy owning your own business and dealing with clients becoming a cloud backup reseller could be exactly what you are looking for. I’m looking for a white label cloud backup solution that I can resell.. for 500 GB under USD 25 per annum. Can you help me find some of the best companies offering same? I don’t think you will find anything under $25.00. Your cheapest options are probably LiveDrive and Zoolz.